A discipline for men and women of all ages. Gymnasts work in teams of between 6 and 12 people. 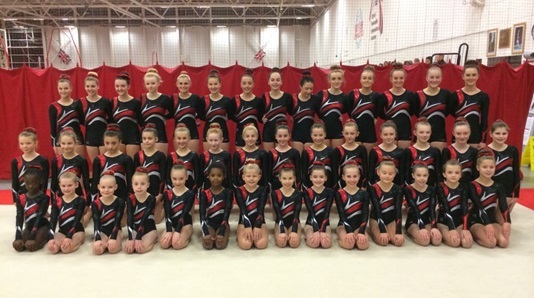 Teams compete on three pieces of apparatus - a syncronised Floor Exercise, Trampette and Vaulting and Tumbling. Each routine is performed to music, making this a dynamic, fun and spectacular discipline. There are a number of competitions organised across the region and nationally. There is also the opportunity to take part in regional training squads. TeamGym now has its own Technical Committee.